Each new year is the time for reflection on the past and striving for the future. Gyms are packed, produce is purchased, and people set out with optimism to change their health, attitude, or habits. 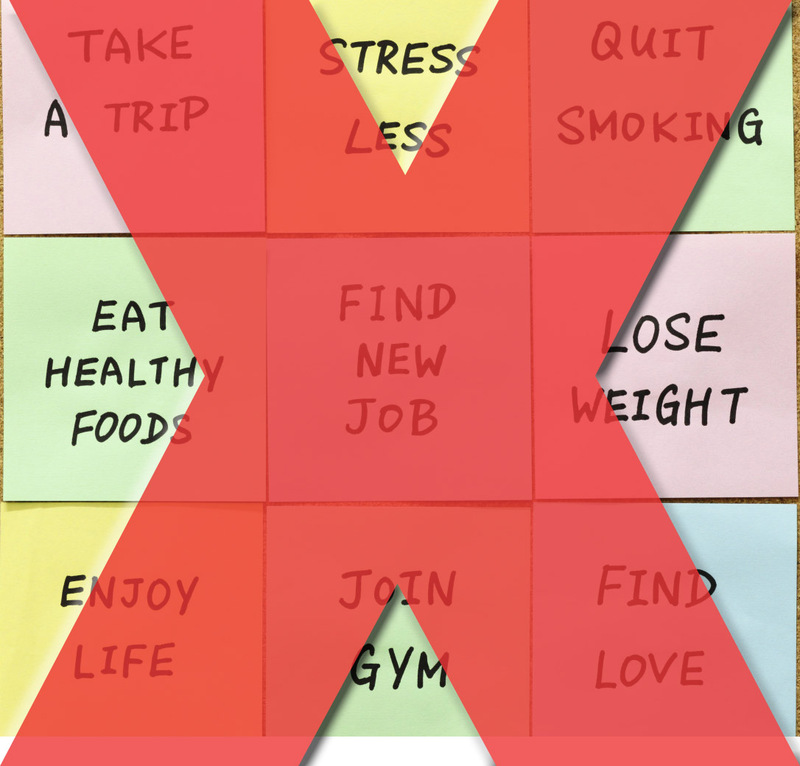 Resolutions are made and lost within the first couple of weeks (or days) for most people. People have ideas mingled with motivation to achieve their perfect 2018, but then those dreams quickly become a distant thought that seemed like a good idea at one time. The problem is that when resolutions are made, most people do not slow down enough to break down their goals into small, obtainable goals, so they are overwhelmed at the amount of conscious effort it takes to plan and change their habits. Then, when they fail, the resolution is broken, and all is lost. Emotional: seeking to improve the quality of relationships in my life. Spiritual: making sure I am relying on God in my every day struggles. I am a planned person and a “doer.” I am most of the time unwavering. I am usually a very gracious person when it comes to failure (though not often with myself). I usually decide, make a plan, and follow through with it. I started my plan with rest. My rationale: if I get more physical rest each day, my relationships with people are better, I can think more clearly, and I have more energy to spend with God. This means I could accomplish everything I set out to do with just a little more rest. I mean, the research shows that true R&R increases energy levels, allows for quicker recovery times with exercise, improves your focus, creativity, memory, and longevity, increases your immunity, and decreases your overall stress. January 1: I set an alarm on my phone to tell me to go to be at 9:50 every night. This would give me a good 10 minutes warning to make it to bed by 10:00pm. Then, my goal was to not wake up until 6am. I would also spend 10 minutes daily in quiet solitude, meditation, and deep breathing to clear my mind and decrease my stress levels. I would read scriptures on rest and take a bath with lavender essential oil once per week. I would get a massage once per month. I would do yoga 4 times per week instead of my normal 3 times… Whew! Well, as you can imagine, I failed. My “plan to rest” became another thing to work towards and to strive to achieve. It became stressful when my alarm would go off at 9:50, and I still had laundry to do, research to do, and e-mails to respond to… so I started ignoring it. My 10 minutes of solitude turned into people jumping on me while I was trying to lie on the floor in my closet, my mind would start racing about all the struggles going on, or I would just be so exhausted that I would just fall asleep. I read my scriptures, but felt no affects. I forgot about my baths… sometimes I did not take a bath or shower at all. Massages once a month… childcare and finances stopped me in my idealistic tracks right there. No time for an additional yoga session with all my other activities. So, three weeks into 2018, I’m still tired and my relationships are still strained. Why did I fail? I already mentioned that the number one problem is that “when resolutions are made, most people do not slow down enough to break down their goals into small, obtainable goals, so they are overwhelmed at the amount of conscious effort it takes to plan and change their habits.” I did those things… I broke it down, I made a plan, I made small goals… I tried. I planned to tackle rest first because, in my mind, rest would allow me to draw closer to God and closer to other people. However, I made a mistake… I tried; I tried to do it on my own. I did not draw close to God first to ask Him to help me find true rest; I did not ask my husband for help to allow for me the time to accomplish my goals for true rest; I did not ask my friends for accountability; I attempted to carry the weight of my newfound resolution by planning more, scheduling more, and doing more around my busy life by myself. I am not giving up on my plan to make imperfect progress towards rest, which can lead me to the restoration that I am seeking. I am allowing God to use others in my life to lean on to help me to accomplish my goal of rest. I am having grace for myself amid those evenings when the kiddos have the stomach bug and I didn’t spend time in deep breathing meditation that day. I am inviting my kiddos to participate with me in the midst of our craziness to rest. I am rejoicing in the one moment I was able to take a lavender bath and go to bed at 10:00pm. We all have things to work on with our health and wellness, and we all have goals we want to achieve. Plan and take big goals and break them down into smaller goals. However, allow others to support you in meeting those goals throughout the year and have grace for yourself when you fall. If you miss a week going to the gym and gain back the 5 pounds you lost earlier in the year, do not lose hope. Do the best you can and approach it with resolute and unwavering tenacity. Shelly, a native of Owensboro, graduated from University of Evansville in 2010 with her Doctorate in Physical Therapy (DPT). Following graduation, she has completed her Certificate of Orthopaedic Manual Therapy (COMT) through the Ola Grimsby Institute and obtained her Orthopaedic Certified Specialist (OCS) board certification in 2013. 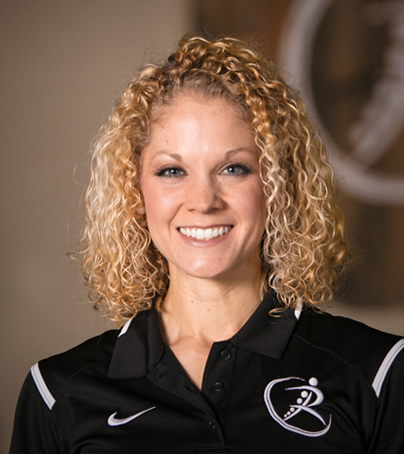 In 2016, Shelly graduated from Regis University as Owensboro’s first and only Fellow of Orthopaedic Manual Physical Therapy.